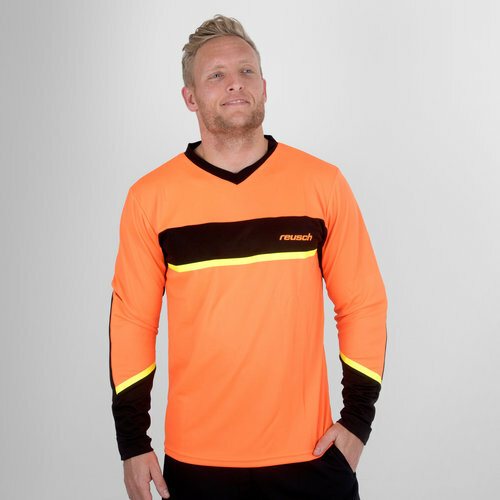 A sharp look for the #1 position, your match winning saves will certainly get noticed in Reusch's Razor L/S Padded Goalkeepers Shirt. Made from polyester, a light feel to the shirt comes with foam padding on the elbows so you can protect yourself when diving about and pulling off saves. Goalkeepers need to make their presence felt and with a shocking orange look joined by black and bright yellow then there's certainly no questioning who's in command of the penalty box.